George Carroll Hitch was born on Friday the 13th in August 1908 which, by his own account was a stormy and gloomy day. However, while the day of his birth may have been gloomy, his life was quite the opposite. He was known and loved by many as a sincere, talkative man who lived a simple life free of many worries. He lived his whole life on St. Lukes Rd. just outside of Fruitland, Maryland in south-central Wicomico County. He was born and grew up on the 60-acre (+ or -) Hitch farm two miles south and east of town. The farmhouse was built circa 1905 by his father using native timbers from the land and old iron wedge nails popular at the time. In 1964, he moved "across the field" to the adjacent farm (about 23 acres) at the corner of St. Lukes and Milton Mill Roads where he lived until his death in 1990. This farmhouse was built circa 1900 and was torn down in 1990 and replaced by a mobile home occupied by his wife, Doris (Hamilton) Hitch, after he passed away. While his first name was George, he was known by the name Carroll all his life. He had numerous friends and acquaintances throughout his life and was known by various titles through them. To his grandchildren and their peers, he was called "Pop-pop" while, for others, he was known as "Uncle Carroll". His physical size was somewhat diminutive standing barely 5 feet tall and weighing at most about 125-130 lbs. He had dark hair, which in later years turned white, with a medium complexion. By trade, he was a cabinetmaker and carpenter who worked at Community Builder's saw mill located on Route 13 along the railroad tracks at the north end of Fruitland. The mill closed in the late 1970s. In the 1960s and 70s, he could be found quite often "hanging out" at the Jones & Malone (e.g., Nora Jones and Benny Malone) Texaco station on the corner of U.S. Route 13 and Main Street catching up with the local happenings with other Fruitland gentlemen over a Coca-Cola. He always amazed the author (his grandson) of the number of people he knew on a first-hand basis. Everywhere he went, he recognized someone, or was recognized himself, and would many times end up in lengthy conversations. Carroll often related stories of himself as a young man. One of his favorites was about his first automobile. The setting was the 1920s and the advent of the Model A Ford. No one in the Salisbury area had gotten one as yet and many were on order. Carroll had placed an order for a few hundred dollars through a dealership in Salisbury to get one of new machines, however, he thought he would have a long wait given the car's popularity. 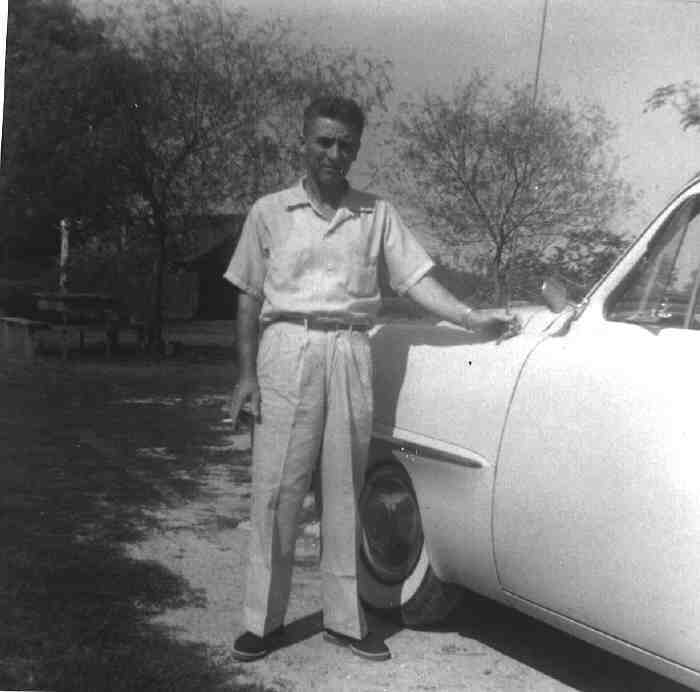 Lo and behold, he received a telephone call from the dealer the next day telling him that he had gotten a Model A but the color was blue, not what he had ordered. However, he could have the car if, by Carroll's words, "Would not tell anyone where he had gotten it." As it turned out, he had gotten the first Model A in Salisbury and proudly drove it everywhere to show it off. This was just one aspect of a man with a colorful, fun-loving and sincere personality. He loved to play the banjo and did so in an organized band with Bill Godfrey at Sandy Hill in the 50s and 60s. He could also play the fiddle and harmonica and seemed to play by ear since he could not read sheet music. Many times he would pull out the banjo and play "Comin' Round the Mountain" and other old time songs without a moment's notice. His musical inclination was quite well-known and many have said that his favorite song was that old spiritual, "Amazing Grace". In his 60s, he would run around as if he were just one of the grandchildren. The author remembers him hitting a baseball on many occasions and bragging how he "used to play for the Yankees with Joe DiMaggio". He feared frogs and toads with a passion and would do anything to avoid them. His grandchildren, knowing this fact, would often find a toad and offer it to him. Once, when a toad was slyly placed in his shirt pocket, he stood on his head to get the thing to fall out - at 65 years of age! A fall ritual for a number of years through the late 50s and 60s, Carroll would make apple cider. He crushed the apples in an old, homemade grinder powered by an electric motor. The apples were then put into racks lined with muslin cloth and stacked on an old press. The author can remember the sweet juice which came out of that press on those crisp autumn days. The bees would buzz around and we would drink the cool, fresh-squeezed cider, yum-yum. George Carroll Hitch died in Peninsula General Hospital on April 19, 1990 after a short illness. He is buried in the Wicomico Memorial Gardens cemetery. 1. Residence: St. Lukes Road, near Fruitland, Wicomico Co., MD, Between 1908 and 1990. 1 1910 MD Census, Listed as age 1 9/12 in the 1910 Wicomico Co., MD Census, born in MD. 2 1920 MD Census, Listed as Carroll G. Hitch, age 11, in the 1920 Wicomico Co., MD Census, born in MD. 3 1930 VA Census, Listed as Doris E. Hamilton, age 20, in Capeville, Northampton Co, VA.
4 Social Security Death Index (Name: Ancestry.com. Social Security Death Index [database on-line]. Provo, UT, USA: Ancestry.com Operations Inc, 2011;), SSN 212-16-7355. 5 1910 MD Census, Listed as age 2/12 in the 1910 Atkinsons, Worcester Co., MD Census. 6 1920 VA Census, Listed as Doris Hamilton, age 10, in Capeville, Northampton Co., VA.